The Kalinga Eye Hospital is composed of several eye care departments including an outpatient wing, a surgical centre and a paediatric eye centre. Each department provides an array of diagnostic and treatment services to all populations. We also offer comfortable accommodation for volunteers, visiting physicians as well as surgical patients and their families on site. Kalinga Eye Hospital is composed of several eye care departments including an outpatient wing, a surgical centre, and a paediatric eye centre. Each department provides an array of diagnostic and treatment services for all populations. On the main level is our pharmacy and optical centre, to make Kalinga Eye Hospital a one-stop shop for your eye care needs. We also offer comfortable on-site accommodation for surgical patients and their families, visiting physicians, and volunteers. The Outpatient Department (OPD) and Surgical Centre comprise the backbone of the Kalinga Eye Hospital. 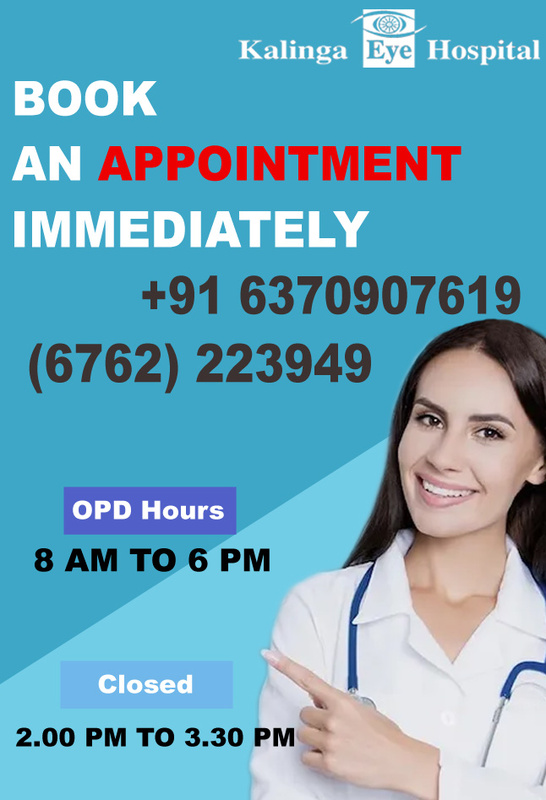 The OPD provides diagnostic and treatment services from 8 AM to 1 PM and 3 PM to 6 PM daily. It is open to everyone and community members are provided non-discriminatory services at an affordable rate. Profits from these two departments are used to finance our outreach programmes. An average of 50-60 patients visit the OPD daily. The OPD section is fully equipped with modern equipment and facilities. Trained paramedics and experienced ophthalmologists provide the OPD services. Typically, the patients are given surgical services at the hospital, but we can always provide referrals if our facility cannot provide the service needed. The highly specialized field of paediatric ophthalmology requires additional training beyond that of an ophthalmologist. Until recently, there were no pediatric ophthalmology centres in the state of Odisha. In May of 2006, with the support of ORBIS International, KEH began offering paediatric eye care services, and officially christened its Paediatric Eye Care Department on March 5th, 2009. Since then, KEH has undertaken numerous initiatives to ensure access to quality and affordable eye care services for children. Conveniently located adjacent to the OPD, the Kalinga Pharmacy & Optical Centre provides medications, lenses and spectacles to patients. The Optical Centre provides single vision lenses, bifocal lenses, progressive lenses and addition lenses. A wide selection of frames, reading glasses, and high index lenses are available. Experienced optometrists are available to serve patients. The pharmacy offers a variety of eye care medications in addition to medications for your other ailments. By offering a pharmacy and optical centre, we are able to provide quality, comprehensive eye care under one roof. Our hospital offers clean, comfortable accommodations for patients, families, staff, and volunteers. Private rooms with beds, a bathroom, and air conditioning are available. Patients who have undergone surgery spend the night at the hospital with 24-hour access to medical staff. Rooms are located on the third floor of the hospital, providing a quiet environment away from the bustle of the street and lobby. Meals, as well as tea and coffee, are offered in the hospital's canteen, which is found on the lower level. Vegetarian meals are available throughout the day and are cooked in our own kitchen. The canteen is clean and accessible to all patients and families.